With the arrival of autumn, it was time for a pilgrimage to Utah for some much-needed R & R. I had been looking forward to a very different vacation this time because my hiking friend Jeff had recently changed jobs and as such I was going to have more solo trail time than ever before. 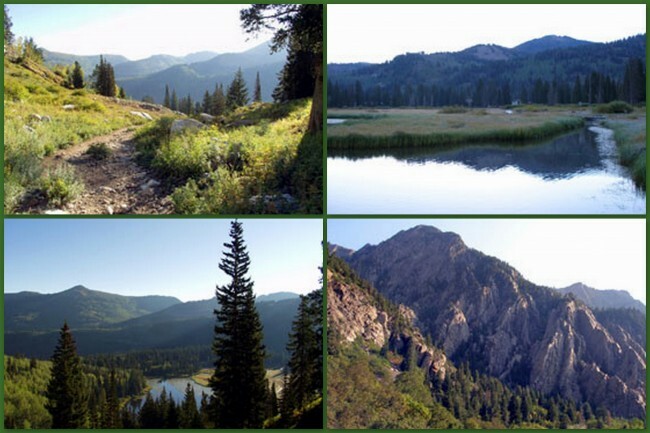 Before arriving in Salt Lake City, we had discussed how convenient Big Cottonwood Canyon was to his new job location, making it the perfect place to drop me off for day hikes in the always-enjoyable Wasatch mountains. Because he had to be at work early, I was dropped off at the trailhead before the sun had cleared the horizon, on a very cool morning with a temperature of 31 degrees. A light fog covered the valley floor and the sounds of early morning in the mountains were everywhere. My day began at the Brighton Café parking lot where I loaded up my gear and headed out. In mere moments I found myself beside a picturesque lake named Silver, with wetland features and waterfowl everywhere. As I approached the lakeshore, numerous pintail ducks took to flight, clearly surprised by having a visitor there so early in the day. Dominating the horizon was the very impressive Mt. Millicent. In short order the trail began an upward climb, starting at 8,730 feet above sea level, a pretty ambitious start to the day. The trail took me through a variety of topography and plant zones; offering spectacular scenery and a perfect backcountry experience. 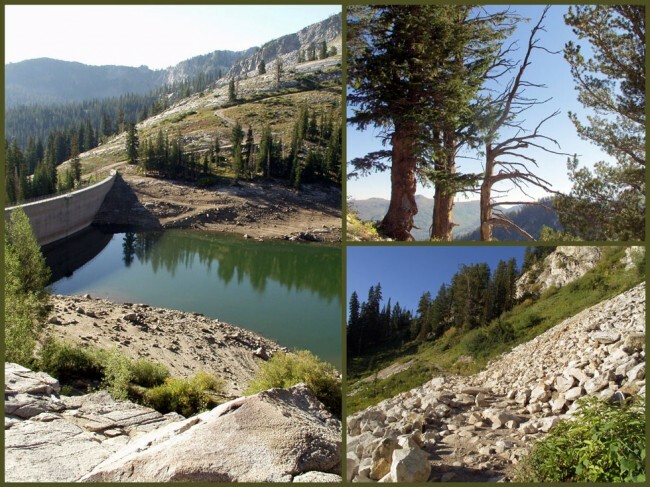 This hike featured not one, but three noteworthy lakes. 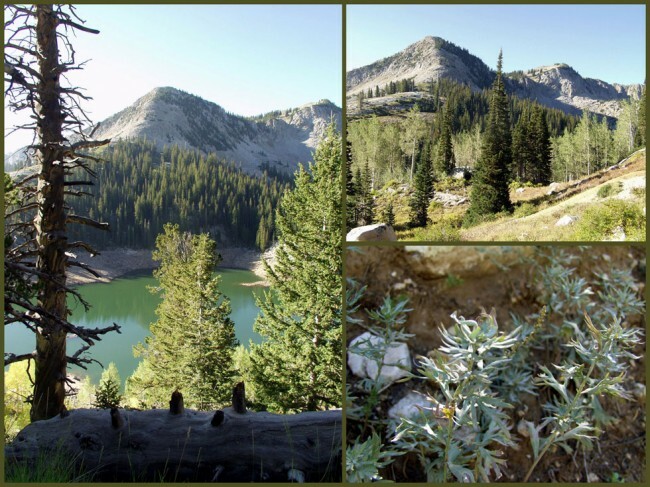 The first, Silver was the beginning of the hike, next came the Twin Lakes reservoir, finishing with Lake Solitude. Each area presented a unique look to the region. 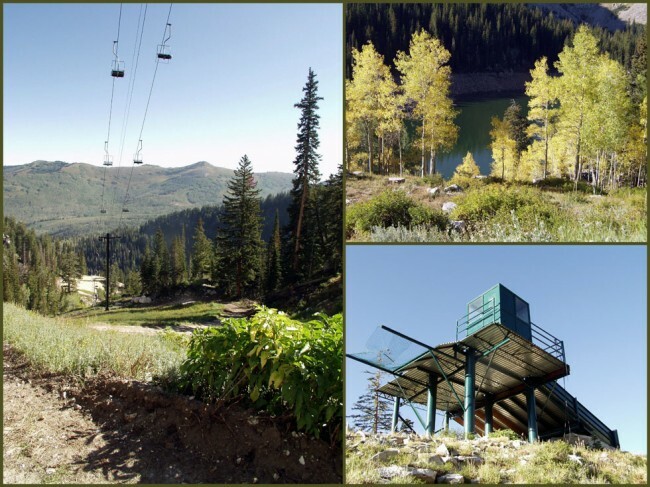 Silver represented a wetland environment, Twin Lakes demonstrated the need for a reservoir system to deal with snow melt and Solitude showed the impact of a very dry summer with an extremely low water level. At the highest point of this trek I found myself at 9,993 feet above sea level when I stood on the Twin Lakes Pass, checking out the infrastructure of the ski lifts all around. Be advised, the trails in this area are more than a little confusing with ski trails and service roads crossing the hiking trail in numerous locations. I strongly suggest you obtain a copy of Hiking the Wasatch by John Veranth to carry with you. His descriptions and sketch maps will prove invaluable in navigating this hike. At the end of the day and a respectable 6-mile, high-altitude hike, I found myself back at the café, where I enjoyed an excellent BLT sandwich to recharge my energy levels. One pleasant note on the café, the prices were surprisingly low for a tourist area, great food, wonderful atmosphere (inviting fireplace and log cabin décor) and good service, check it out.